The bedroom is the one place in your home that you can turn to when life gets to be a little stressful and hectic. It’s the room where you can escape from the craziness of day to day life and enjoy a little bit of rest and relaxation. 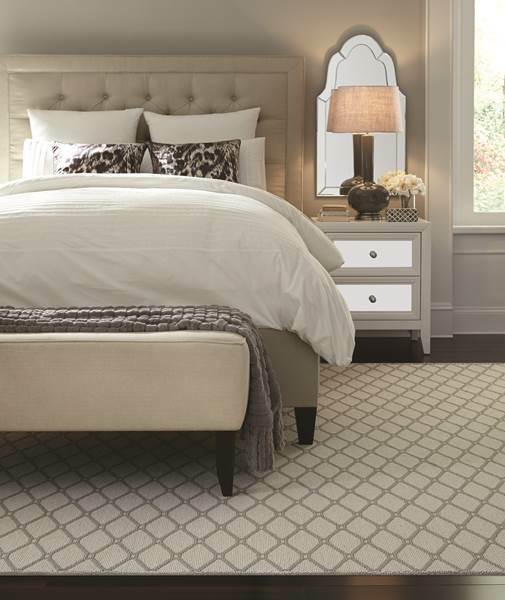 Utilize the below décor tips to create a tranquil bedroom that encourages relaxation and peace. Different colors have a different impact on our mood, so incorporate calm and soothing colors like soft blues and greens, lavender, grey, and beige, to bring peace into your bedroom. These colors work best in décor such as curtains and bedding, and for a bigger impact, consider repainting your walls in a soothing color. After a long day when we want several minutes of relaxation, the worst thing for this is harsh lighting. To avoid a brightly lit room in the evening, choose lighting that has a warmer tone to it, which will allow you to recharge your batteries without the obstruction of bright lights. Another great option is to install dimming lights in your room, which allows you to control the brightness of your room depending on the time of day. Textured décor will transform your space into a cozy sanctuary. Fuzzy area rugs add warmth to your feet, knit throw pillows add comfort and warmth to your bed, and a plush comforter makes for a comfortable place to curl up under, allowing for the release of everyday tension. What is your favorite way to make your bedroom feel like a retreat?